There’s no doubt that social networking has made the world a more fun and informative place, but with the addition of smartphones, social networking is poised to take the fun to another level. Social networking allows individuals to connect with their friends, family, loved ones, coworkers and more, but one of the biggest downsides to using these services is the need to be connected to a computer. As more and more social networks become available as smartphone apps, it’s becoming even easier to take the fun with you, no matter where you travel. One of the best parts of having access to social media on your smartphone is being able to share your fun with friends, whether they are with you or not. For instance, if you use the BlackBerry Facebook app, you can share updates about where you are and pictures of what you’re doing so that friends using the app can be a part of the fun, even if they aren’t with you. Additionally, the friends or family members that you are physically with can comment in real time on their smartphones regarding your updates, and even friends who are at home on their PCs can comment on or like your status updates. 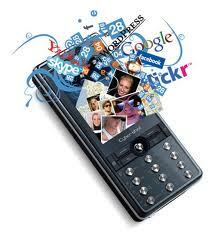 Using a smartphone for social networking also means that you can keep up with your friends all around town. If you’re out on a weekend night and so are your friends, you can use a variety of social media smartphone apps to check into places you visit. This can help everyone to stay connected, and it can also help you and your friends to stay up to date regarding the most recent happenings in town. If you’re out and a surprise concert from one of your favorite bands occurs, you can simply use your smartphone to send the event and details to all of your friends, and suddenly everyone is there. If you don’t currently have a smartphone, yet you use social media, you may be missing out on hundreds of experiences. Smartphones allow users to connect to each other in ways that were impossible in the past. Let's face it, Facebook is the king of social networking both with computers and mobile phones. Twitter comes second with Google+ trailing far behind. I'm actually rooting for Google, I really am, but they need to introduce a lot more features to compete effectively. nice blog post but as per my opinion that now social networking loosing own values.and it is a cause of just wasting time.there are 90 % fake users on these websites. 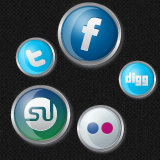 Social media is most important apps For smartphone . Thanks For Sharing.